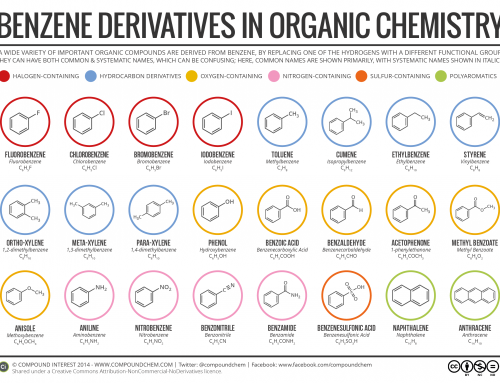 With it being half term here in the UK, what better use of sudden vast amounts of free time could there be than making an organic chemistry reaction map? 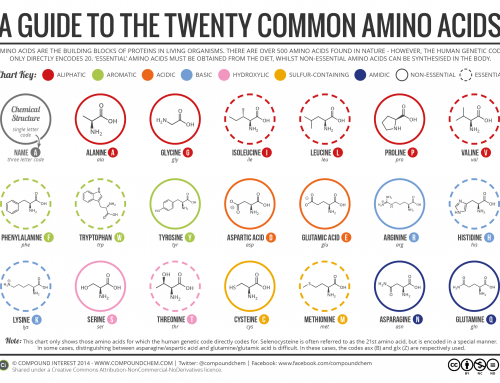 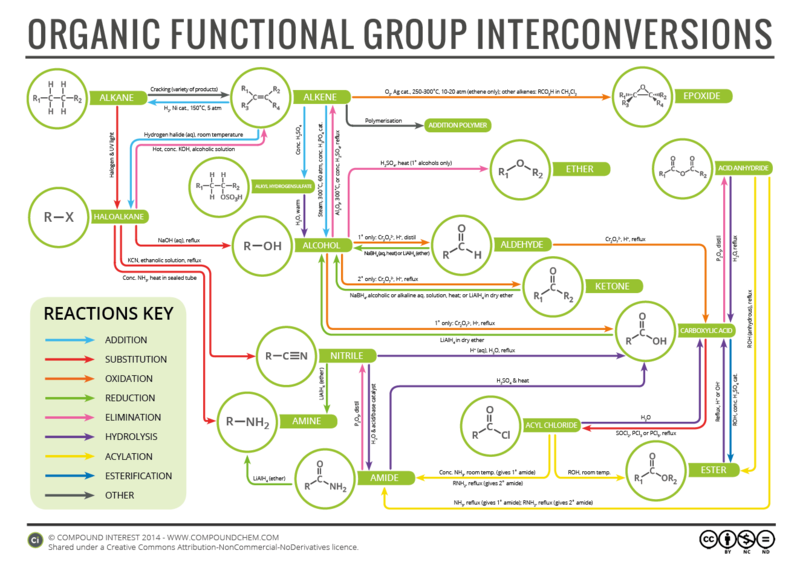 This graphic looks at simple interconversions between common functional groups in organic chemistry. 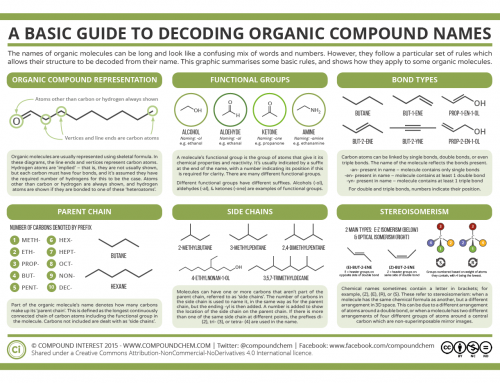 I’m not going to pretend it’s comprehensive, because it certainly isn’t, being primarily aimed at A Level students; to the best of my knowledge, all of the information contained within it is correct, but feedback from any organic chemists out there would be very much appreciated! 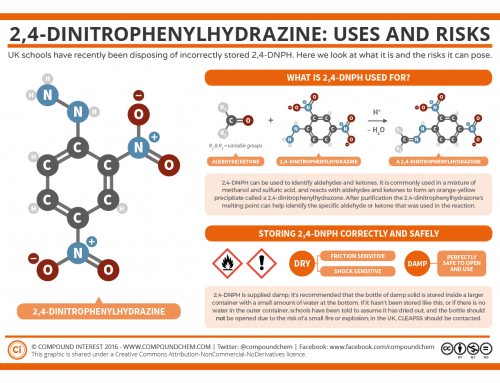 There’s more news regarding the infographics on the site to come within the next few days – in the meantime, you can download the free high resolution PDF of this graphic here. 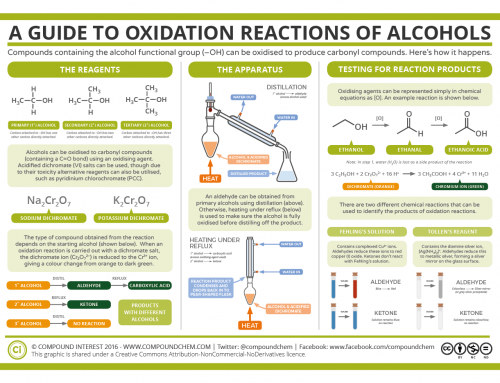 Thanks to @DaK_64 & @ashl3ylaw on twitter for kindly sharing their own versions of organic reaction maps, which were of great help in putting this graphic together. 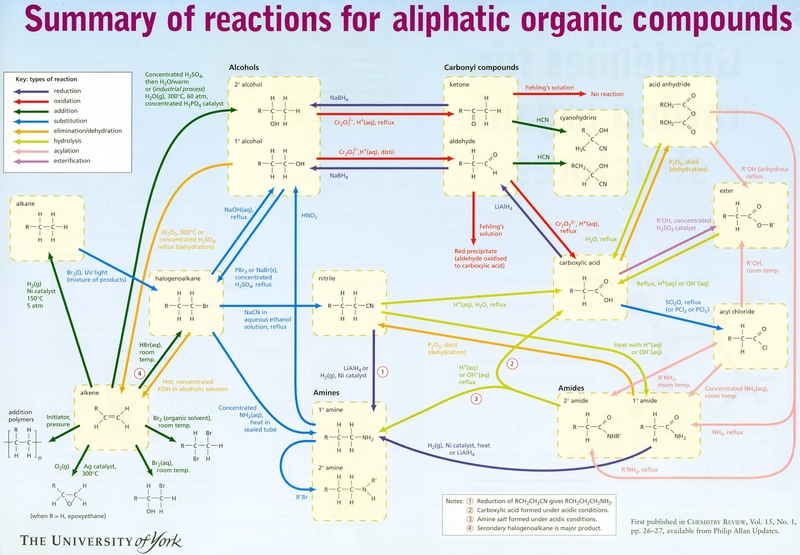 This map from the University of York was also very useful indeed, and gave me the idea of colour coding the arrows to indicate the reaction type.